The two-year-old racing season has started. Not in the Brocklesby Stakes 2019, but over the Channel, Saint-Cloud, France. 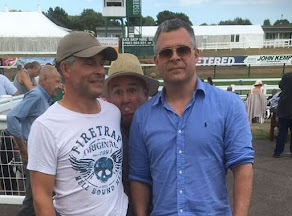 Not the biggest surprise as a few 'early-bird trainers' are looking for every angle to win decent prize money and £10,360.36 tempted three British trainers to the bog-like conditions of this racecourse situated near Paris. The racecourse has a rich heritage dating back to 1901, built by politician and horse/owner-breeder Edmund Blanc (1856-1920). 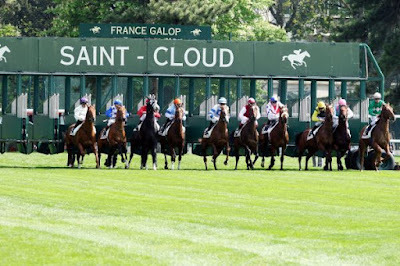 In French, it is familiarly called the Hippodrome de Saint-Cloud. It hosts a number of high-profile races including the Group One Grand Prix de Saint-Cloud held in late June or the first week of July. Readers may remember the Criterium de Sant-Cloud takes place in November. Today's action saw three British raiders send two-year-olds to take part in the Prix le Marche (Claimer) over a four-and-a-half furlong, on heavy going. Twelve two-year-olds competed in challenging conditions in a winning time of 56.37s (slow by 7.17s). In a blanket finish, Throttle Control, trained by J-V Toux won by a short neck from The Nile Song who was a nose in front of favourite Wedding Proposal (41/10f). Gift Account showed good pace until tiring in the closing stages. It will be interesting to see if any of these early two-year-olds go for the 2019 Brocklesby Stakes at Doncaster's Lincoln Meeting. It would seem an ideal opportunity making use of this vital racecourse experience. If you want to know the best two-year-old racehorses in training, learn more by visiting Group Horse, experts in understanding the best horse from stables big and small.